The most complete outdoor kitchen experience yet. We create amazing outdoor kitchens, fire features, fully integrated seating, planters, privacy screening, shade and so much more. Get more than just an outdoor product - get an entire outdoor oasis. No scratching. No dents. No rust. No Warp or fade. Just a beautiful kitchen that will last a lifetime. We’ll walk you through planning, designing and get you to that fully furnished outdoor living experience that you’ll never want to leave. 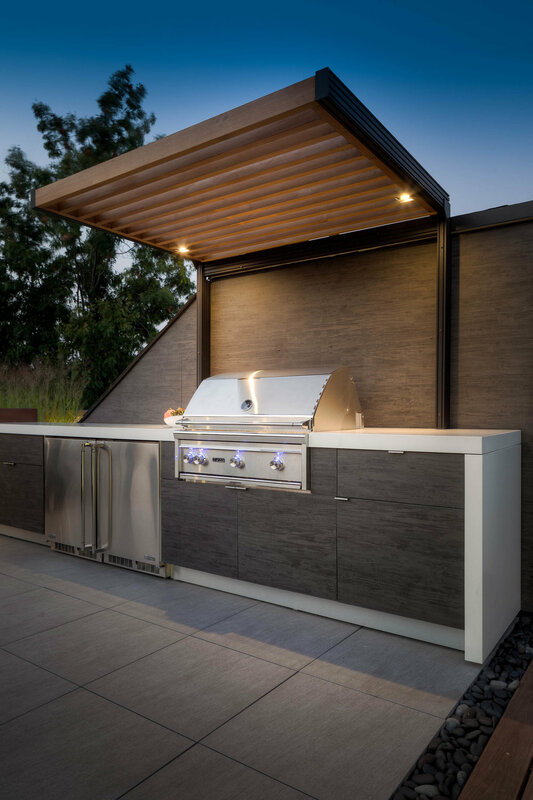 Our team makes it easy for you, we’ll stay on top of electrical, plumbing and gas trades to deliver you the most hassle free outdoor kitchen of your dreams.